Grafted vegetables are superhero vegetables: stronger, bigger, faster, more able to fend off foes than regular vegetable plants – and they deliver a more abundant harvest! Grafted vegetables are created by attaching the top part of one plant (the scion) to the root system of a separate plant (the rootstock). When their tissues heal, they fuse into one Super plant with the best qualities of each: the rootstock contributes vigor and disease resistance while the scion is chosen for exceptional fruit flavor or quality. The resulting plant is more vigorous and productive, going above and beyond the call of duty to bring big, beautiful, wholesome harvests to gardeners everywhere. 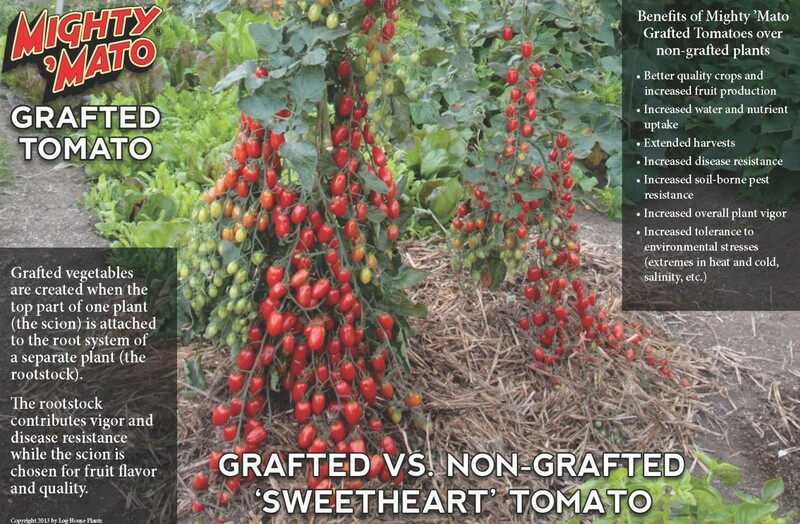 Read more about Grafted Vegetables in the New York Times!